Vanilla and Chocolate…yum! These cookies are delightful and equally treaty the eyes. 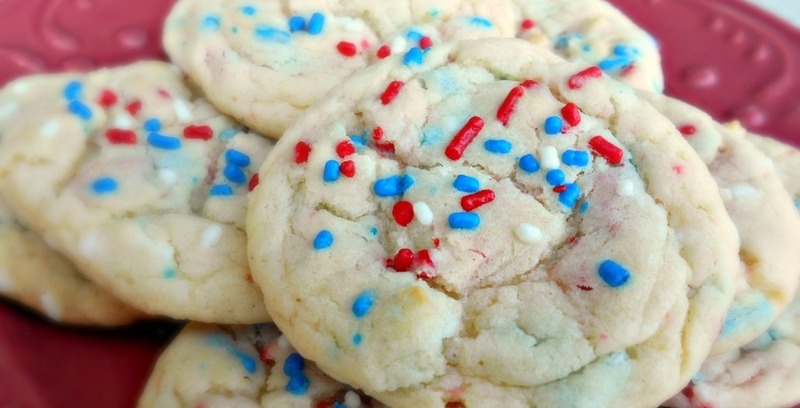 With colorful sprinklers decorating each one of them, these white chocolate cookies can be easily baked at home to please your kids and loved ones. Perfect snacks with tea or just like that during the day. Sift the all-purpose flour, sugar, powdered milk, baking powder and baking soda in a bowl. Combine into a fine mixture. Beat the eggs in a bowl. Add the vegetable oil and vanilla extract to them too. Now add the white chocolate chips and colorful sprinkles. Grease a cookie sheet lightly and fill the prepared batter in it. Bake the cookies for 10 – 12 minutes and then remove them from the oven. Place them on a wire rack for cooling. When completely cooled, serve or store them in an airtight container.